In 2018, I am still working as a Web developer and designer at stayntouch.com. This year was an interesting one. StayNTouch was acquired by Shiji. My salary is still the same and I am still happy with it. Alongside my daily job, I am still working as a freelancer (contractor). I have stayed on Codeable and completed a few small projects. I’ve earned around $1,300 with them where one project included a serious customization of SportsPress while others were about BuddyPress. Most of those projects came through my blog because people saw my tutorials which were close to their needs. I am still a contractor at growdevelopment.com and that’s also the main reason why I slowed down a bit on Codeable, for now. I focused the entire year and my freelancing time to Grow Development. Daniel is a great guy and a joy to work with. I worked on a few client projects but most of the hours were spent on his plugins at ShopPlugins.com. If I look at the previous years, 2018 was a great year and best so far regarding freelancing and my job. So, the plugin business is something I also try to manage on the side and in my free time (mostly on weekends). I like having products such as plugins which I control and decide where the product goes. In 2018, I am still using Freemius to provide premium plugins and I think I am going to stay. They’re doing a great job and I can just focus on coding. Simple Giveaways is my first serious plugin that gave me reason to believe a plugin business is still something achievable. In 2017, this plugin had around $1,800 gross revenue. This was made at the end of 2017 (November and December) and it had 400 active installs on the plugin repository. By the end of 2018, this plugin has 900 active install on the plugin repository and I am really hoping I’ll hit 1,000 in this year. To get it up to 2,000 would be really amazing, but I guess I would have to do some marketing strategy to get there in 1 year. The gross revenue in 2018 is around $4,100 which is HUGE for me. If someone said to me that my plugin would bring around $4,000 in 1 year of running it, I would not believe. The latest 2.16.x version introduced the Form Manager and I think this is a really helpful feature. Alongside the Subscriber Page, people can now look into a subscriber and see all the collected information (+ load all giveaways associated with the subscribers’ email). Freemius also helped me create a new logo (they did all the work, I only have to say if I like it or not :D). They also helped me with the whole rebranding of it and their CEO, Vova, contacted me personally to offer some advice on my landing page. This plugin has come up to 400 active installs on the plugin repository. Since SportsPress itself has grown up to 20,000 active installs. That means that my plugin is used by 2% of all active installs from SportsPress. I do not know how many SportsPress Pro users are there so this percentage might even be lower. In 2018, this plugin got around $700 in gross revenue. That’s my second and last (for now) premium plugin so my plugin business earned almost $5,000 in gross revenue. Not bad for my first year. EDD Tab Manager, a plugin to allow creating tabs for EasyDigitalDownloads products, is not doing great. I was hoping to get a few hundrers of active installs since EDD has around 60,000. But, a year later, it did not pass even the first 10. I hoped that this plugin would be a really useful one and I have a Trello board full of ideas for it. But I decided to build complex features once a plugin hits at least 100 active installs, so that will have to wait. Pets, a plugin for managing pets and animal shelters, is one that grew quite well. Since there are some other plugins for that, this one grew up to 50 active installs at the time of writing. For a few months, it’s jumping between 40 and 50. This is a plugin that I developed to help others and also to help a local animal shelter where I use 90% of the profit to buy food and other resources for them. I plan to release a new version in a few months with the PetFinder integration. AnarielDesign.com sponsored me by giving me their Zeko theme for free. Change Prices with Time for WooCommerce surprised me with the growth. I created that plugin and a similar one to offer a FOMO type of plugin for WooCommerce and for fun. This one grew up to 100 active installs, so it might be time to create some of the features and maybe monetize is a bit to support my time working on my plugin business. Info Blocks, Gutenberg happened and I’ve had in plan to create a block plugin for months. Finally, while listening to Matt, State of Word (live), I’ve built a new plugin using the create-guten-block from Ahmad Awais. I plan to improve this plugin a bit and then use it also on this site. It’s a nice block when you want to point out a recent edit of an article or grab the attention of the reader as some authors do with their blocks in technical books. In November, I’ve started a new plugin which is an area, somehow, empty in the WordPress plugin ecosystem. It’s almost done and I hope to publish the first version in a few days (at the time of writing this). I’ll explain at the end of this article. The site is growing quite well and I am really happy with it. At the end of 2017, I had around 7k monthly sessions. By the end of 2018, my site grew to an amazing number of 30k monthly sessions. But, most of those are from bots (at least I think so). When I create a custom report and the known bots I get down to around 13k monthly sessions. That is also not a low number and I am quite happy with that also. In 2018, I hoped to write as much as possible so I was happy with 2-3 articles per month (instead of my goal in 2017 where I tried to write 1 article each week). A week on pause would allow me to explore new topics and try to code examples which I would then use to write tutorials. In 2019, I’ll try to keep it at that pace also and maybe add a premium-only article every few months. I failed with Webinars. I tried to host a webinar each month and that lasted up to April. I wanted my next topic to be about using React Scripts in WordPress, which I have a tutorial on it. But I could not reschedule it for a later date and then I failed scheduling any Webinar onward. With the last webinar, I was able to get around 10-15 live viewers and I was really happy with that. I do plan to start them again because I see it as a great way to provide value to the community but also to improve the content I offer to the Members of my site. I started providing memberships in 2017 and at the end of it, I had 1 active member. At the time of writing this I have 10 active members, some are yearly and some monthly memberships. 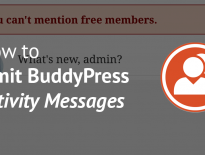 The revenue from memberships is around $200 which almost covered the costs of 2 years of using Restrict Content Pro. Since PayPal is getting their cut, the actual profit is about $166. RCP costs $99/year so I would have to get a profit of at least $198 to cover the whole cost of RCP. It’s not there but we are almost there 🙂 I really hope to grow my membership site and I am still keeping the prices low at $3/month and $30/year. I am using this mostly to cover some costs of my site and investments and provide an additional value for a low cost. I hope to get at least 10 more members in 2019 so I could cover RCP and purchase new resources for my audience. I’ve hosted 2 giveaways where I offered my own eBooks, Courses and also purchased the Gutenberg Development Course from Zac Gordon so I can offer a license to a winner. So, I’ve invested around $75 into a separate course from this profit. I hope to offer even more giveaways in 2019. My “Become a WordPress Developer” course did not go well at all. I’ve finished all the main sections so people who go through it can really apply to a job and do the job. This course earned me $270 which is really low. But I do understand that this is a saturated market and I am not a really know educator in this space. I was contacted by Kyle Maurer from EasyDigitalDownloads, so I am going to create a course about selling dynamically created digital products. It will be something similar as in my eBook Easy Digital Downloads for Developers. Digital books is something that I really like doing. Teaching people while they’re reading it, even offline, is something I love. As something that can provide a bit of side money, it really helps me to cover the costs of my site and some educational material. EDD for Developers got several readers in 2018 but most of them were from giveaways and such. It earned only around $40. 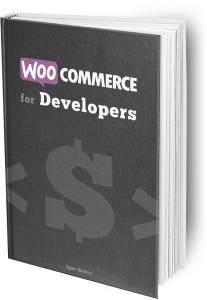 WooCommerce for Developers did much better. Due to that, I can’t say exactly how much it has earned but since there were about 41 sales, I would guess somewhere around $400. That’s 10 times better than EDD for Developers. I plan to write a book on Gutenberg and because of that, I’ve already started writing a series of tutorials on Gutenberg. This year, I’ve also invested into quite a few courses and educational material. I am still a member of PursuitHQ, although I do plan to cancel my membership there because it’s costing me $47/month and I am not really using the potential of it. As I’ve said before, I’ve purchased another year of Restrict content Pro which is $99/year. I’ve also renewed my subscription on poststatus.com. That’s another $99/year. Maybe, without that platform, I would never have met Daniel Espinoza, so I am happy renewing my subscription. And I am using their slack on a daily basis, just to read what others have to say and on what they work. And being able to direct message some of the members is of huge value. With the help of that, I messaged, to name a few, with Pippin, Kyle Maurer, Alain Schlesser and Mark Zahra. I purchased Fullstack Advanced React and GraphQL from Wes Bos. 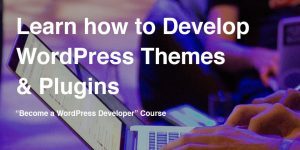 I’ve also bought a few courses form Zac Gordon (Advanced Gutenberg Development and Headless WordPress). As I also tend to use more and more VS Code, I’ve also purchased the VSCode Power User from Ahmad. The curiosity did not help me here. As I am always curious how something works, I wanted to learn Docker. Thanks to Syntax.fm, I’ve learned about the course Dive into Docker and I had to buy it. I’ve also bought Camtasia 3 on a huge sale for about $20 so that’s a win right there. Black Friday/Cyber Monday got me there also but only for one single investment and that was buying Laracasts for a whole year. I have an urge to learn Laravel for quite some time and with that investment I hope I’ll earn enough to be able to use Laravel on my own projects. A tutorial/course idea, for quite some time, was to use WordPress as a CMS but then use Laravel as a front part on a different server. This will help me with that. So, another win for me in my personal life. In 2017, I’ve written about getting engaged with my girlfriend. On August, 25th of 2018, she also became my wife. That’s also a reason behind my fails with Webinars and such. I was focused more on that part than on anything else. We hoped to start building our house, but that was a big fail. We have yet to start and I hope in a month, the first diggings will begin. I’ve also looked at the weight in my 2017 review and the same happened in 2018. I actually got down by 8 kg before the wedding and my suit was even a little big (something that is really rare with me). But after the wedding, I stopped my keto diet and somehow I have yet to start. My weight is back. I have a few projects in my mind for 2019. The biggest one is the new plugin which is called Simple Sponsorships. For now, it’s only available on GitHub. I plan to integrate Freemius into it also but instead of going the same path as my Simple Giveaways and Live Scores for SportsPress, I plan to offer add-ons. The first version will be still a beta, but completely functional. I’ve decided to go with the beta because while using it, I (and others) might see something that should be done differently. I will also build a few premium add-ons to go along with it so I can test this idea. 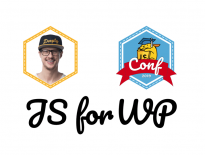 The premium add-ons will be a Stripe Gateway, Slots for Packages (Gold, Silvers and similar as seen on WordCamps) and a file one where you can connect files to sponsors/sponsorships so you can manage that there also. So far so good I would say. 2018 was in most cases a pretty big win for me and I hope 2019 will keep it up. Of course, that’s depending on me so I do hope to get better as a human being, a husband and also as a developer/educator. The biggest thing, in my opinion, that I’ll have to learn doing better is time management. Thanks Man, for sharing. I do see you are involved in too many things, which is very wrong in any aspect, so I would suggest to focus. I appreciate you contribute in many projects as well, so I could understand maybe money is not your motivation. But specially seeing your numbers (where you shared), I would strongly recommend try to be involve in less project for at least first 6 months, try to ramp up revenue on those, if you got at least one sweet spot, which bring you, lets say, $1500 a month, it will be easier for you to take decision independently. Creating a plugin is rather easy for a developer, but marketing it is pain for most, so instead of creating more, I would suggest a focus on marketing what you have already. If you need a suggestion or more direct guideline I would be happy if I could manage time. Take care!